I’ve just returned home from a week’s holiday in Pembrokeshire, walking part of the coast path and just taking time out to simply ‘be’ – it was fabulous. The cottage we’d rented was a stone’s throw from the pub, and a bistro serving the best fish & chips only a hop, skip and jump from the front door – perfect in every way. Something I was keen to try to capture on this visit were the roadside verges and I could have easily stopped every hundred yards or so for ‘just one more shot’, they are truly beautiful. 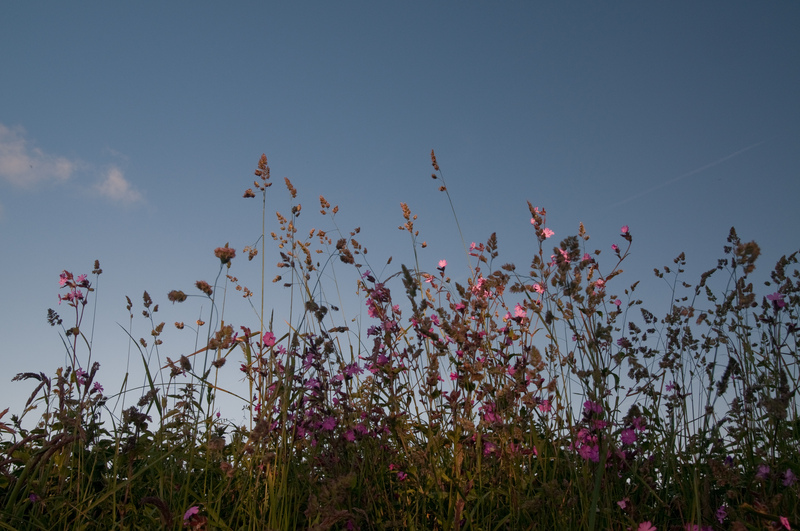 What makes them stand out is the fact that the banks rise above the road on either side, and they are topped by wild flowers and grasses which are set against the sky – fortunately my other half was happy to do most of the driving so I could just soak in the sight for mile after mile. The weather was kind too, which was lucky, given how bad it had been in Wales a week earlier – and even better, there was a lot of rain at home meaning my garden did not suffer in my absence. It has grown – and then some, and I’ve yet to check on the allotment! This entry was posted in Out of my garden and tagged coast path, coming home, country lanes, outdoors, Pembrokeshire, roadside verges, travel, vacation, Wales, wildflowers. Bookmark the permalink. How very English, and utterly charming the verges were. That sounds like a lovely week away, and lucky you with the weather.